Another in our occasional series showing images and items of interest from Long Wittenham’s past. 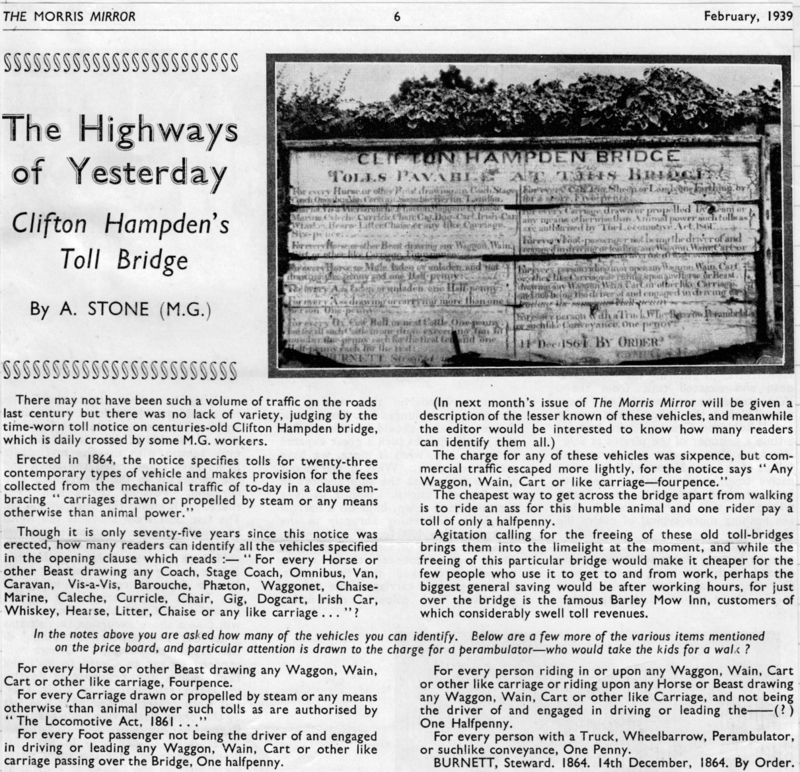 This time, an article dated February 1939 about Clifton Hampden Bridge and it’s toll sign, from Morris Mirror magazine. This was the official organ of the Morris Motors Organisation which included Morris Motors Ltd, Wolseley Motors Ltd and The MG Car Co Ltd. The bridge was made toll free on 4th October 1946. Click on the article to view a higher resolution version. This article is taken from Mercy Ward’s scrapbooks which are now in the Long Wittenham History Group archive. If you have an interest in local history, why not join the history group? More information on the History Group page.